Hypnotic Poison by Dior is a Oriental Vanilla fragrance for women. 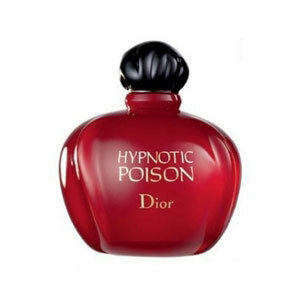 Hypnotic Poison was launched in 1998. The nose behind this fragrance is Annick Menardo. Top notes are apricot, plum and coconut; middle notes are tuberose, jasmine, lily-of-the-valley, rose, brazilian rosewood and caraway; base notes are sandalwood, almond, vanilla and musk.